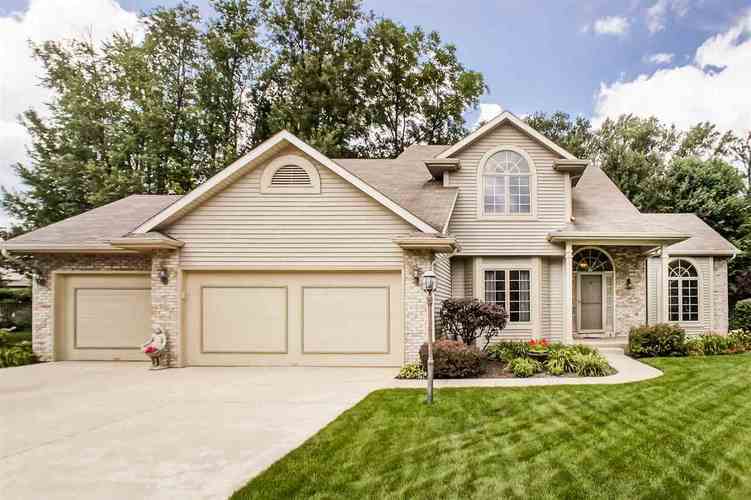 Don't miss out on this incredibly priced home in popular Westwood Knolls packed with fantastic features and amenities! Beautifully landscaped grounds and manicured lawn greet your approach to the home as you enter into the 2 story foyer open to the vaulted great room bathed in natural light from abundant windows. Updated island kitchen features contemporary cabinetry with new countertops, hardware, fixtures and stainless appliance package. Vaulted master suite boasts generous walk-in closet and private bath with dual vanity, jetted garden tub, and separate shower. 3 car garage, main floor laundry and den, formal dining room, and three-seasons room that opens to the large deck, both with beautiful views of the manicured back yard and treeline. This home is packed with great features and situated in a perfectly serene setting so don't wait - schedule your showing today!